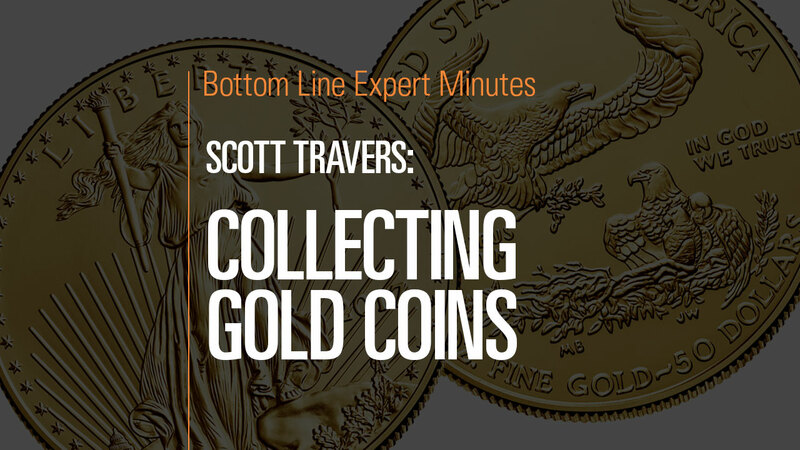 Scott Travers, gold and rare coin expert and author of The Insider’s Guide to US Coin Values, talks about the value and collectibility of gold coins. While there are numerous bullion and collectible gold coins to choose from, Mr. Travers’ pick for his favorite gold coin is an American Eagle gold coin. He explains that his attachment to this coin is personal and sentimental because he went to a first-strike celebration for it in 1986 and actually was allowed to mint one of the coins himself. If you are looking to invest in gold coins, watch for coins whose prices are near the melt value of the metal they contain and from years in which the US Mint manufactured fewer of these particular coins.